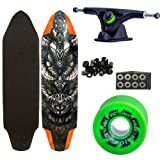 Downhill is one of the hottest disciplines when it comes longboarding, but let’s face it, sometimes is hard to find the best downhill longboards that provide you high quality of speed and stability. In order to find them, you need to understand the basic concepts of downhill. Basically, downhill consist in getting speed with the major percentage of stability and control. You need to look for wide and concave boards that keep you stable and give you performance when you are riding at high speeds. Also, you should use hard wheels in order to skid with more control. Any board between 37 and 43 inches in length are especially designed for downhill. Professionals recommend that you should select a board that it is not too much large because it would have low manageability. Although the length is something important when it comes selecting the best downhill longboards, you need to focus 80% of your attention in the width of your board. Everything between nine and eleven inches is acceptable. There are an infinity of wheels that you can choose. That is why you need to know what kind of wheels are more suitable for a downhill longboard. When it comes wheels selection, the best is look for hard wheels that provide you less friction. Soft wheels may deform at high-speed. 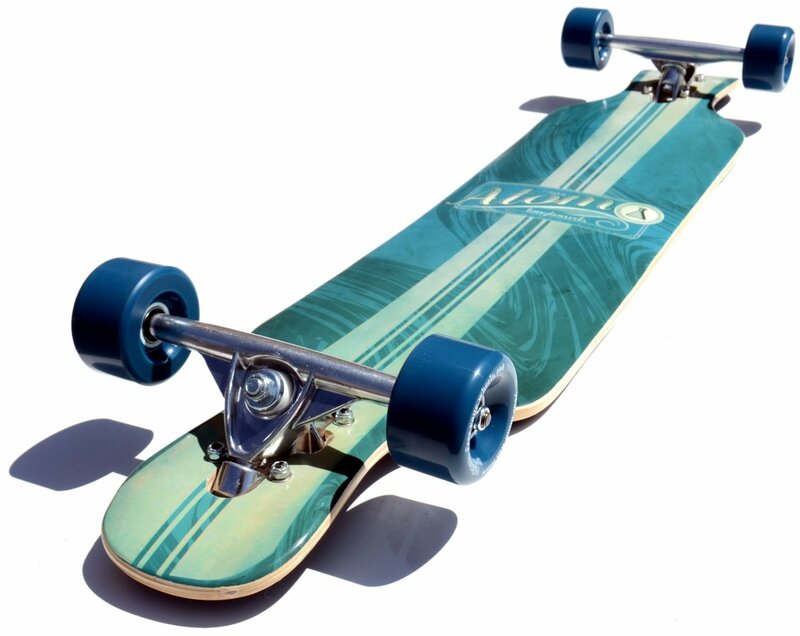 The most used boards for this discipline are the called “Drop Decks” (because they have a level down) or also called “Speedboards”. These boards are more stables when you are riding at high speeds; However, if there are an imperfection in the ground, you may fall. 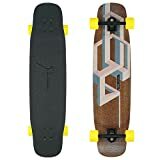 If you are new in this sport, is recommended using this kind of longboards because they provide you high performance at the time of crossing a bend and keep your feet added to the grip. Top-mount longboards are designed for advanced or intermediate riders that know how to control speed and want to experiment more difficult moves. 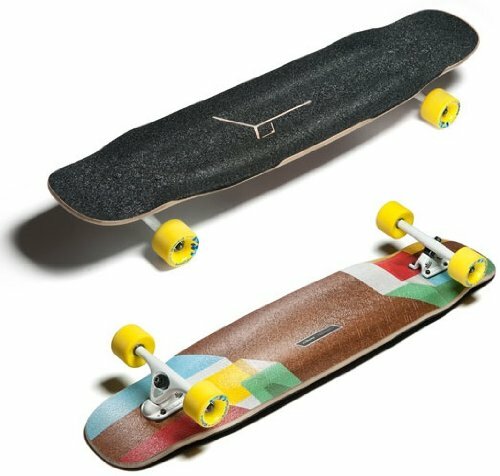 This kind of longboards have more leverage in their trucks and they provide less stability that drop deck based longboards. Although some poeple consider that drop-through based longboards are exclusively for freeride downhill purposes, some professionals claim that this kind of board can work very well when you are practicing classic downhill. 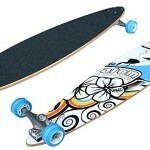 Basically, a drop-through longboard has carved gaps in the tails where the trucks pass through the board. Also, these boards are closer in the ground. Therefore, you will have more stability when you’re downhill. This board has been claimed as the perfect downhill longboard after winning 4 worldwide titles. 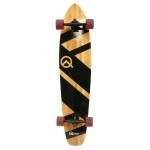 With one of the most authentic structures, a beautiful design and a strong plywood maple this longboard is an artwork. 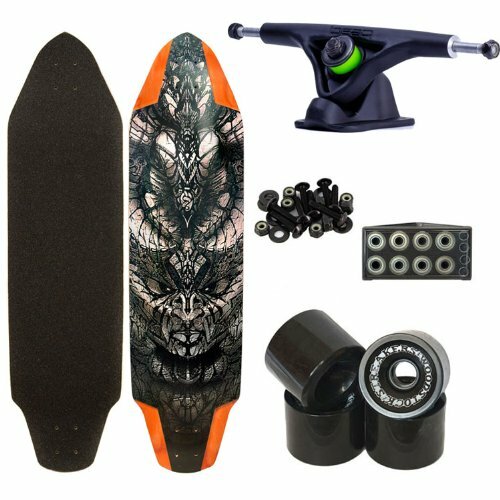 With a bad boy style, this downhill longboard is specially created for those experienced riders that need something new. As one of the hardest charging boards in the marketplace, the Woodstock Chieftain 2014 provide you a long durability. 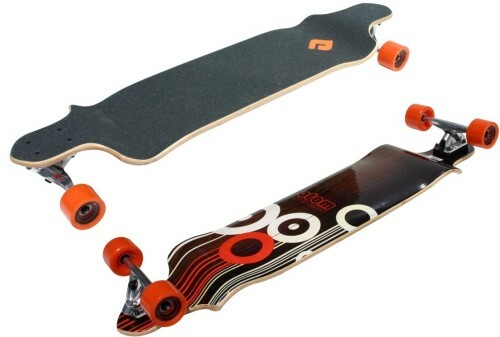 This board is perfect for those riders that like to be rough with their longboards. If you want performance when you’re downhill, but also make beautiful skids with ease and stability, then you need this board. 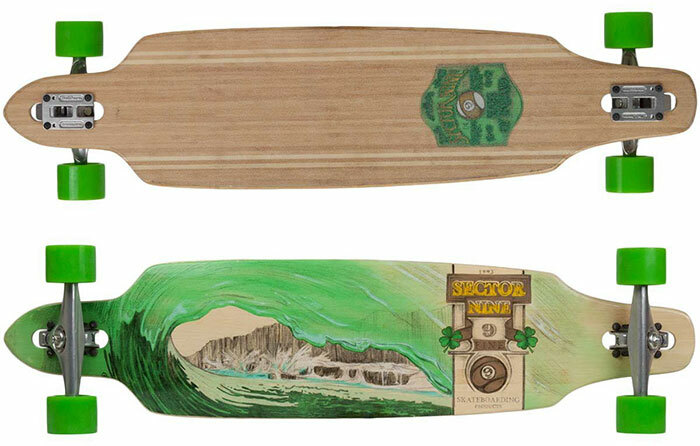 The Sector 9 Green Wave Lookout II deck will give you a new feeling of riding. With one of the most authentic designs and its concave structure, this deck will provide you a blend between speed and stability. 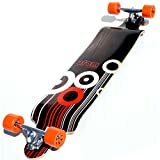 If you are a beginner and want to ride with safety and speed, the Atom Drop Deck board is the best choice for you. Its larger design allows you to have more stability and performance at high speeds. Although this board lack your maneuverability, its drop deck structure help keep you inside the board in the pronounced bends. Based on a strong analysis of the boards that we were contemplating, we decided that these are the five best downhill longboards so far. In summary, when it comes downhill, you can use any longboard. 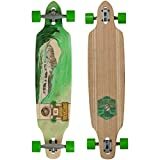 However, if you want to have the best experience of riding, fun, and get less injuries, we suggest to follow closely the specs mentioned above or just select one of the best downhill longboards that we analyzed for you.